Pope Francis calls us to be ‘… a Church which is poor and for the poor’. To be with those on the margins as equal partners, enabling them to find their own solutions to the issues they face. 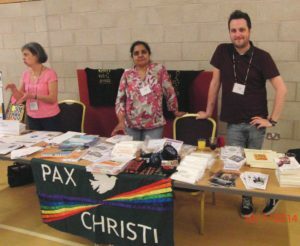 Conference 2019 will work with Church Action on Poverty who are undertaking a three year project to challenge the Churches about where they put their resources. It will hear from ‘communities of praxis’ who are already involved on the margins, and engage in social analysis and theological reflection from the perspective of those on the margins. Join us in 2019 to explore mission, theological reflection and social action with people who have been pushed to the margins of society by poverty.